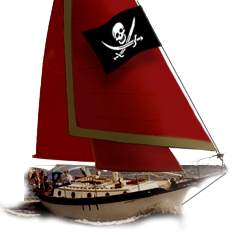 Westsail Owners Alliance - Post: "Saye's Rig Wind Vane Self Steering"
Post: "Saye's Rig Wind Vane Self Steering"
Good condition, servo-pendulum, original equipment for Westsails. This one came off a W32 and is simply bolt-on to the boomkin bracket and rudder, otherwise fit it to the boat with struts or whatever. It steered me nicely over 1200 miles of the North Atlantic, from the BVI into Charleston SC, through two gales. New Saye's Rigs are $3600.